but I found this and thought it worth sharing. Who says steam is dead? And the 8014 (the Big Boy) has passed her hydrostatic test (now that is higher pressure -- 375 psi) and will be on the road by May! 611 is going to be in Strasburg PA in the fall, going to do the start up tour and ride behind it. 1309 will be up and running in the summer/fall in Cumberland MD. The steamer had the advantage that the freighter couplings were pulled tight from being stuck on the hill. Push the back car first 1", then 2 cars another 1" etc. Still one steamer did the job that they sent 3 diesels out to do originally. Did you happen to note the wheel slip near the beginning of the clip? The old girl was giving at all she had -- and the engineer had her well in hand. I think they make them tow the diesel for regenerative braking. Actually, only one of the Diesels broke down, but that was enough to stall the train. The video doesn't say, but I understand locomotive engineers will approach a hill as fast as they can so momentum will help carry the train over the top. Since the train was stalled on the hill, with no chance for momentum, this makes 844's work that much more impressive. One of the YouTube commenters says these locomotives are used to haul revenue freight when they are being moved from place to place- they never deadhead (run them without actually hauling something) them. This probably helps justify their upkeep, and also keeps the knowledge alive of just how to run these things. Kind of like what we're doing here. One "Car Talk" puzzler was why a particular train needed more cars attached, that is a longer train, to make it thru rolling hills? As it was climbing the second hill, part of the cars were pushing it as they came down the first hill. Usually had to wait for a week for the answer. Controlling slack action in the train in those situations is a fine art -- and where the men really get separated from the wannabes on the throttle. 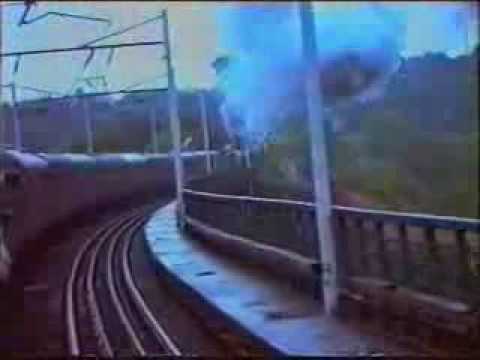 As a kid when we still had trains running, I wondered about the bang-bang-bang all the way back to the end of the train. Learned later they back up before going ahead to gain that slack. > Did you happen to note the wheel slip near the beginning of the clip? The old girl was giving at all she had -- and the engineer had her well in hand. 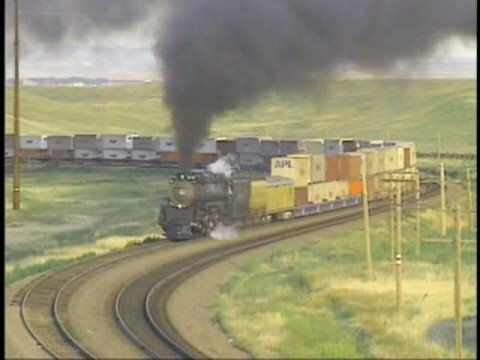 Here’s a good one.... UP Challenger 3985 a 4-6-6-4 steamer pulling a 143 double stack cars up Archer hill at 45 mph all by itself. The problem of starting a long train was much worse in the bad old days of brass journal bearings -- the static friction of the bearings was much higher than the rolling friction, and one did have to put in the slack and start the train car by car. It's much less of a problem now with roller bearings. Control of slack action -- as well as draught gear forces -- is one of the reasons why distributed power in long trans is so popular. Most railroads which operate long trains take a great deal of car in marshalling the cars and distributed power, so that severe slack action is minimized. @ChrisJ tell your boss about this one too, they had the boiler steamed up back in October and are selling tickets for July. Not quite a Big Boy, but still an articulated and very cool. My parents already bought tickets and taking my son along. I grew up in the little Iowa town of Mt. Pleasant, home of Midwest Old Threshers, "a steam and farm show" Permanently on the grounds are a collection of narrow gauge steam trains. This one, is very unique with 3 vertical cyclindes on one side, like by a drive shaft and pinion gears to ALL wheels on the engine and the fuel car too. Dave, I rode in the cab of the shay at Mt. Pleasant when it was there. It is quite different than riding in a conventional locomotive. It is now out west some where. I used to volunteer on the steam department at the Boone and Scenic Valley in Boone, Iowa. We have a 2-8-2 mikado number JS8419. It was a thrill to get the highball from the conductor, whistle off, and listen as 195psi. 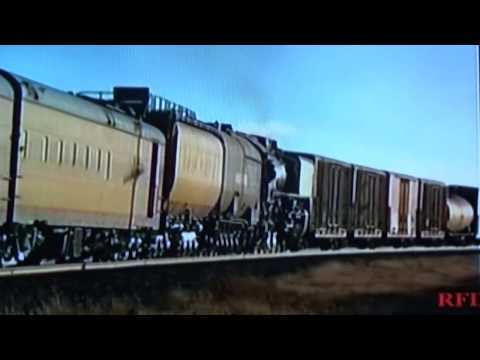 of superheated steam bring a locomotive to life as it worked it's way up a 1% grade. Those locomotives are called Shay. Yes, and they are only capable of slow speeds. But they do make an awful fuss while they're doing it! > Yes, and they are only capable of slow speeds. > But they do make an awful fuss while they're doing it! Many, many of those Shays were made in my hometown, Lima Ohio. Several of my relatives worked at the Lima Locomotive Works “back in the day” so I grew up around these awesome steamers as the old farts and my father sat around talking about them. The Shays were bevel gear drive/set up for insane torque rather than speed and used primarily for logging and mining. Properly configured, they could climb a 6% grade fully loaded. The simplicity and low speed of the drivetrain means quite a few are still going. They were sent as far away as Australia if I remember right. Around here, the Nickel Plate #765 2-8-4 Lima “Berkshire” is based in New Haven, Indiana. Shortly after it was steamed up for the first time after (another) restoration, my brother actually got to man the throttle and take it for a short spin. There are pictures somewhere of my brother and I as little runts standing next to it when it was having work done at its birthplace in Lima 30 years ago.